Институт археологии Российской академии наук приглашает вас принять участие в работе научной конференции «Церковь Благовещения на Городище: исторический и культурный контекст», которая состоится 14–15 февраля 2018 года в Москве в Институте археологии по адресу: ул. Дмитрия Ульянова, д. 19 (конференц-зал на 4-м этаже). Статьи на основе докладов планируется опубликовать в первом номере нового научного периодического журнала «Архитектурная археология», планируемого к изданию в ИА РАН, а также в сборнике материалов по итогам раскопок 2016–2017 годов. Оргкомитет конференции: Н.А. Макаров, П.Г. Гайдуков, Е.Н. Носов, Вл.В. Седов (председатель), Н.В. Лопатин, М.В. Вдовиченко (ответственный секретарь), А.В. Кудрявцев, Д.Д. Ёлшин, А.В. Андриенко. • необходимость присылки официального приглашения. Заявку просим направлять Вдовиченко Марине Викторовне по e-mail: zakomara@yandex.ru до 15 января 2018 года. The Institute of Archaeology Russian Academy of Sciences would like to invite you to take part in the conference “The Church of the Annunciation on Gorodishche: Historical and Cultural Context”, which will take place in Moscow on 14-15 February, 2018, at the Institute of Archaeology (Ulitsa Dmitria Ulianova, 19, conference hall on the fourth floor). 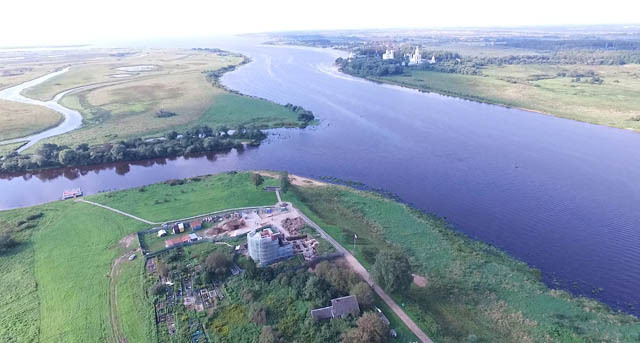 Archaeological research on the Rurik’s Gorodishche near Veliki Novgorod has been conducted by the specialists from the Institute for the History of Material Culture Russian Academy of Sciences (RAN) for some years. This work was headed by E.N. Nosov since the 1970s. Its results are annually reported on different conferences, many of them published. In 2016-2017, as the Annunciation Church was being restored and expected to be opened to the public as a museum, specialists from the Institute of Archaeology (RAN) were involved in the project. Their main goal was to find and study layers of underground masonry and other extant constructions of the Church of the Annunciation on Gorodishche. This building was erected in 1103, being the second oldest (after St. Sophia’s Cathedral) stone church in Novgorod. Further research was conducted with regard to the foundations and the pediment level of the Annunciation Church of the 1340s. Apart from the discoveries concerning the construction elements of the early 12th century, excavations, carried out in 2016-2017, produced interesting and in many ways new and unique results. These include a collection of fragments of the wall-paintings that decorated the church of 1103, as well as some rare examples of early graffiti, including certain Glagolitsa inscriptions. Archaeologists also found in situ two original altars of the church. Under the present structures of the Annunciation Church an occupation layer was discovered and some remains of wooden constructions, that had remained from the church of an earlier settlement. The results of the digs, conducted by the RAN Archaeological Institute, together with new studies, involving the Gorodishche church, will be discussed at the conference. The main attention will be focused on the architectural-archaeological research, connected with The Church of the Annunciation on Gorodishche and with other constructions of the time. The conference also aims at looking at the results of excavations in the Gorodishche within the historical and cultural context of the late 11th-12th centuries. Along with archaeological and architectural-archaeological materials, we expect to present a number of papers, devoted to early Russian history (late 11th- early 12th century). Other reports will describe the personality and politics of various feudal lords (Vladimir Monomakh, Mstislav the Great, Vsevolod-Gavriil), or will be dedicated to the Russian cultural environment and its Byzantine context, as well as to various issues with regard to architecture, painting, book illumination, writing and epigraphy of the period. Papers, connected with the presented lectures, will be published in the first edition of the new periodical journal “Architectural archaeology”, which is expected to be released by the RAN Institute of Archaeology, accompanied by a collection of materials based on the results of 2016-2017 excavations. Organizational committee of the conference: N.A. Makarov, P.G. Gaidukov, E.N. Nosov, В.В. Седов (chairman), N.V. Lopatin, M.V. Vdovichenko (executive secretary), A.V. Kudriavstev, D.D. Yolshin, A.V. Andriyenko. - Is an official invitation needed? Please send your applications to Marina Vdovichenko E-mail: zakomara@yandex.ru prior to 15 January, 2018.